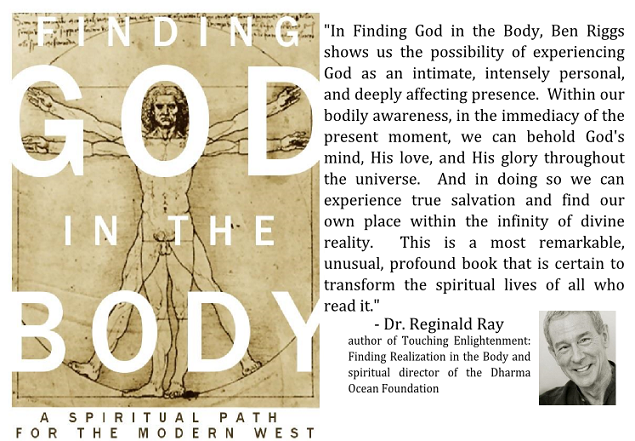 The Finding God in the Body programs draw from the wisdom of the world's great spiritual traditions—Buddhism, contemplative Christianity, Judaism, and Twelve-Step spirituality—to present a modern view of embodied spiritual practice. 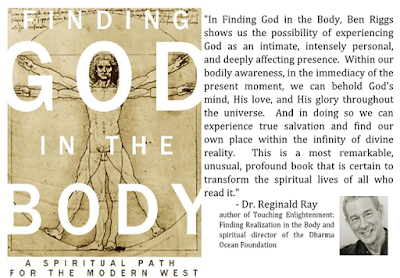 The Finding God in the Body workshop is a four-hour program focused on equipping each participant with the tools needed to cultivate their awareness of God's indwelling presence and to birth that presence into their daily life. In this workshop we cover journaling practices, contemplative prayer, and body based meditation. I also offer teachings on the view of contemplative spirituality that supports the practice. 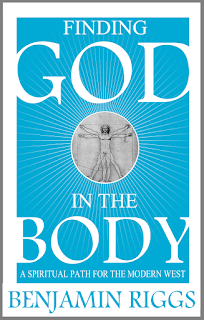 The Finding God in the Body weekend retreat is a silent program that lasts from Friday evening to Sunday morning. The retreat structure enables us to go deeper into the practices, as well as affords us more time to explore the nature of contemplative spirituality. In addition to journaling, contemplative prayer, and body-based meditation, we also explore the practices of Tonglen (working with anger and resentment) and walking meditation. Below is the official description of the book as well as my bio information. That we all want to live meaningful, happy lives is self-evident. The question is, how? 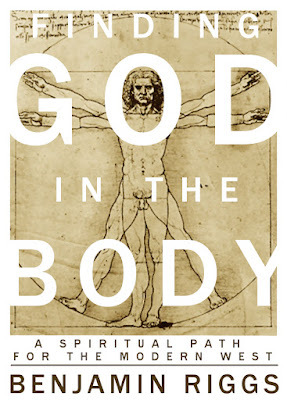 Finding God in the Body answers this question with action. Ben Riggs leaves no stone un-turned, addressing each stage of the journey as he explores the space between fundamentalism and atheism to uncover a spirituality that resonates with the Western mind. 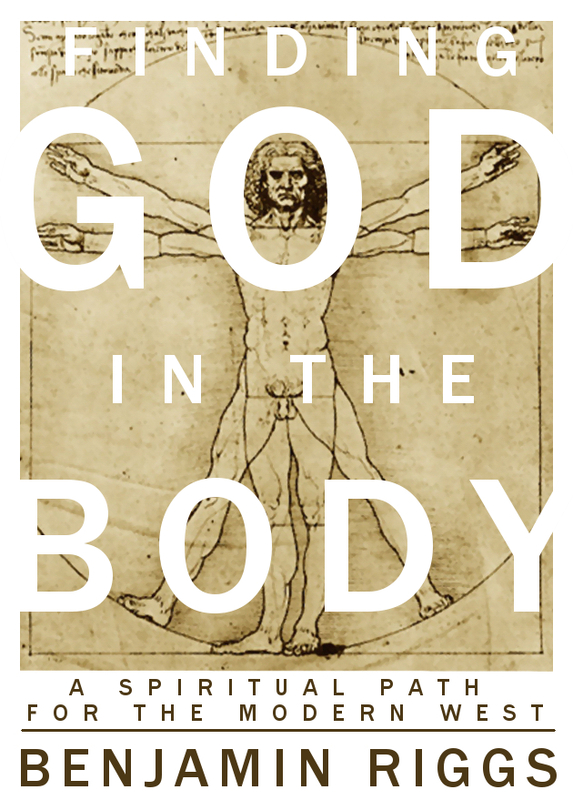 Then he binds that view to an actionable path of self-analysis, prayer, and meditation, which introduce the reader to the God of the body. 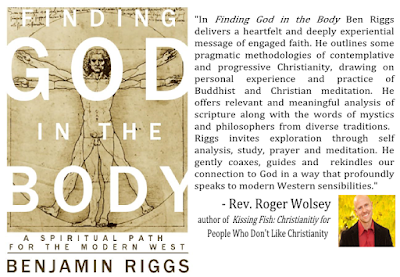 Benjamin Riggs is the author of Finding God in the Body: A Spiritual Path for the Modern West and director of the Refuge Meditation Group in Shreveport, LA. Ben has studied Buddhism and Contemplative Christianity for the past fifteen years. He has had the opportunity to study and practice in both Christian and Buddhist monasteries in India and the U.S. Ben lives in Shreveport, LA with his wife and son where he teaches meditation and contemplative spirituality. Ben regularly leads meditation and contemplative spirituality workshops and retreats. He also writes extensively about Buddhism, Christianity, and politics for Elephant Journal.